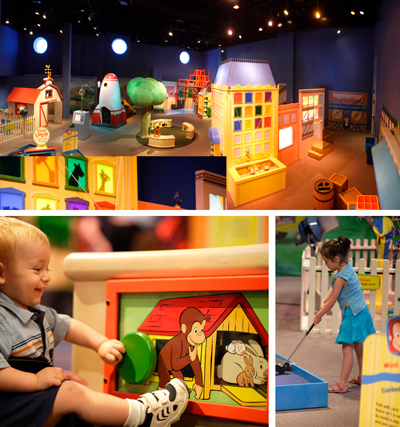 You don’t want to miss Curious George: Let’s Get Curious at the Science Museum of Virginia. This interactive play-and-learn exhibit is perfect for families with young kids. Exhibit runs through September 15. Drawing to be held January 31. No purchase necessary to enter. All giveaways are sponsored by Richmond Family Magazine. Giveaways are open to adult residents (18 years and over) of the Richmond, Virginia, metro area. Winners are drawn at random from all sweepstakes entries. If winner declines prize, RFM is not obligated to offer substitutions or upgrades. Winner(s) will be notified via email the first business day after the end of the sweepstakes month or after a unique drawing date as indicated. If winner does not contact RFM within three days hours to claim prize, a new winner will be drawn. Exceptions apply when time-sensitive events are involved.